Gano Excel – One of the Best MLM Companies You Can Rely On..
Are you looking for one of the best MLM companies to invest and build your business upon? Well, I could suggest you one, which has proven its merit in the MLM business sector since 1995. And they are the Gano Excel. Gano Excel will be the most ideal place for people who are planning to invest their time, energy, and money so that it benefits them to lead a financially independent career in the multi level marketing(MLM) business sector! Gano Excel, the multi level marketing (MLM) company was founded in the year 1995 in Malaysia, with the intention to change the lives of people around the world. They are mainly specialized in the selling of fast moving consumer goods(FMCG) and products. They have also proven their merit in the fields of research, production and distribution of innovative world-class Ganoderma (a kind of Red mushroom which have various medicinal properties) immunology products. 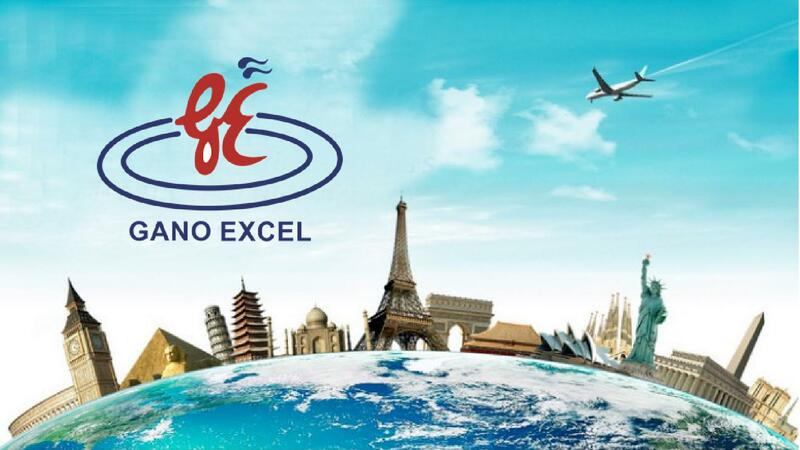 With more than 20 years of service, Gano Excel has grown from a little startup to a multi-million dollar company with an international network of over 60 countries around the globe, and thus being the largest Ganoderma company in the world. Gano Excel has continued to evolve within the wellness sector, pioneering the innovative development of Ganoderma-based products and crafted a multi-million dollar brand that differentiates it from the other leading competitors. They have created a path for the international community to enjoy a borderless business opportunity platform so that people from all walks of life can fulfill their dreams of having a healthier and wealthier lifestyle by starting this business with the least minimal investment. The Gano Excel distributors have the opportunity to achieve their financial freedom and enhance their lifestyle with hard work, commitment, leadership and positive actions. This financial stability not only upgrade the life of Gano Excel distributors but also it would give them a chance to contribute to the society or community as a part of their own social responsibility programs. How To Make Money With The Gano Excel’s MLM? It’s the same route that you have to follow, as in case of any type of MLM business. In Gano Excel MLM business, you usually they recruite into the business by an upline agent who you buy the products from. That is, the more people in your downline, the more money you will make, which means once the downline sponsors below you buy a Gano Excel product, you will be collecting a commission fee. You could make a lot of money if you are good at convincing people! As MLM Business is based on MLM Compensation Plans, Gano Excel operates on a binary pay plan structure. But it is actually more of a hybrid system as there are some more additional ways in which you could get paid on your uni-level team. There are various bonuses available to earn the commission.. The different plans to get started in the Gano Excel MLM business ranges from $25, where you could become a basic distributor, and all the way to $995, where you could get a comprehensive business builder package! Moreover, Gano Excel have been using a powerful backoffice MLM Software to run their compensation plan that facilitates to manage the business more easily. And the MLM software has made sorting out the mathematical calculations of compensation plan so easy! Gano Excel has a strong corporate structure and they sell good quality products at competitive price. They also have a very strong compensation plan if you are that person who can roll up your sleeves and work hard. Thus, Gano Excel would be one of the most suitable profiles to start your MLM business. I would give a rating of 4/5 for this MLM company in terms of the growth of your business.